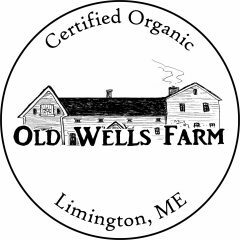 Payments can be made online through paypal (click button below) or mailed to Old Wells Farm, 991 Cape Road, Limington, ME 04049. We price our share based on an estimated value of $28 each week. Often times we have a surplus of certain crops making the weekly value much greater. CSA members will also have access to our much beloved weekly newsletter with recipes, poems, written curiosities, and farm updates. When you join a CSA you are entering a partnership between the farmers and the community. Members invest in the farm by purchasing a share before the season starts. With this advanced payment, we are able to heat our greenhouse and purchase the seeds and soil in the winter that turn into your weekly produce. CSA farming challenges the typical customer-business relationship. As a shareholder, you are a vital component of the farm ecosystem. Turn you weekly grocery store trip into a relaxing escape to the farm – no lines, no lists, no parking lots… you get to pick up a pre-packed bag of the freshest vegetables in the beautiful Maine outdoors. A share will typically consist of a mix of 6-10 organic vegetables/herbs which are picked up weekly at your chosen location. The size and content of shares will vary from week to week. You can expect lighter shares with lots of greens in June, leading to tomatoes, beans, beets, carrots, peppers and squash midsummer, and ending with roots, potatoes, and winter squash in the Fall. In addition to vegetables shares may include edible flowers, tea mixes, and shiitake mushrooms. Love the tasty option of Volvo parts – mmm good!